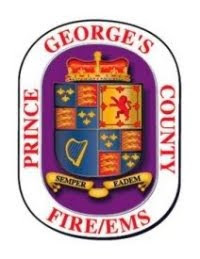 Greenbelt Volunteer Fire Department and Rescue Squad, Inc.
· Prince George’s County Firefighter/Medics, honor guards, pipes and drums as well as public safety personnel from other agencies and departments will report for line up at 7:30 am at First Baptist Church of Glenarden. · The funeral procession is scheduled to arrive at the First Baptist Church of Glenarden at 8:30 am. Everyone must display the utmost respect at all times while on the church property. · Church policy does not permit media cameras or recording devices inside the building. · At this point no family will be available for interviews. · Media should notify Mark Brady, PGFD Chief PIO, by phone call or text at 240-508-7930 if you plan to cover this event.